All hands on deck! Prime Minister Lee Hsien Loong yesterday clearly spelt out the role of the public service in keeping the people happy with the government. The government is also shopping for an integrated system to detect, monitor and tackle public grievances and complaints. New rules were announced yesterday to keep the public service free from corruption. From today, all public officers will need to declare within seven days whenever they visit the local casinos more than four times a month or buy an annual pass. Officers who have to deal with the casinos won’t be allowed to visit them at all except on business. The actions follow recent scandals involving public servants, the plunge in the ruling party vote in the May 2011 general election and the two consecutive by-election defeats . 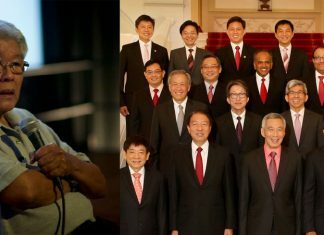 PM Lee said it was important that people trust the government and the public service. Only then can government policies succeed – if the people trust the government to understand their needs. One way the public service can strengthen this trust is to act together as one and maintain the highest standards of integrity. The Prime Minister was speaking at a seminar of public service leaders. The public service must work as an integrated whole and keep up the changing aspirations of the people, he said. People would be frustrated if they had to deal with multiple agencies and conflicting policies. The government must be customer-oriented, he added. Keeping the customer satisfied is a mammoth task. In the second quarter of this year, the government received 1.6 million phone calls, emails and letters – that’s one in every five seconds. But service has its rewards. Public servants will continue to be paid according to their quality and the value of their contributions, said PM Lee, adding this had kept the system clean. New technology will be used to handle complaints and feedback from the public more efficiently. The Infocomm Development Authority of Singapore has called a tender for an “Integrated Case Management System”. This will provide a digital platform to resolve “complex issues” involving multiple agencies. It follows earlier efforts to solve the problem of complaints being bounced from one agency to another. The government is harnessing new rules and new technology to improve the standards and the image of the public service. That will be a win-win for the people and the government alike if the public servants play along.